The NuGleam™ Supreme Laundry Cabinet & Sink certainly provides a simple and practical solution to all your laundry needs. 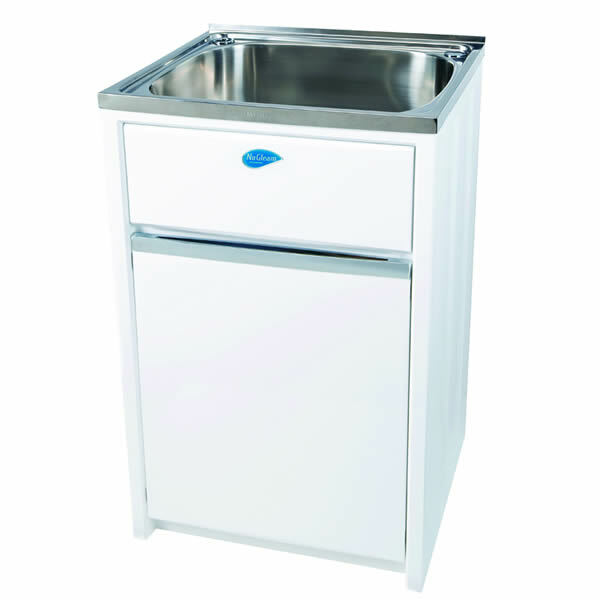 This laundry cabinet and sink combination unit is a quality product from manufactures Everhard. 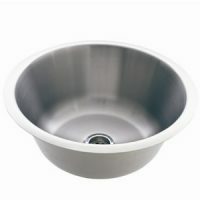 It is available in a durable white finish, which will suit modern décor and fittings. The NuGleam™ Supreme Laundry Cabinet & Sink is equipped with a 45 litre square stainless steel sink which requires very little maintenance. Moreover, the cabinet body is Dupont® Coated which makes the surface of this unit smooth, scratch resistant and easy to clean. Featuring a single bypass assembly, it includes holes on the sides to fit washing machine hoses. 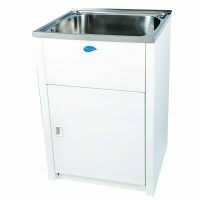 The NuGleam™ Supreme Laundry Cabinet & Sink measures 560x518x870mm in dimension and also includes a watermarked basket waste that meets Australian standards. Rest assure this is a quality product, which is far superior to others in the market. As such, Everhard offers great manufacturer’s warranties of all aspects of the unit. 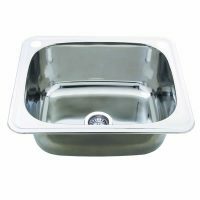 The stainless steel sink and the metal cabinet are backed by a 25-year warranty, while the plug, wastes, hinges and rods are covered by a 1-year warranty. 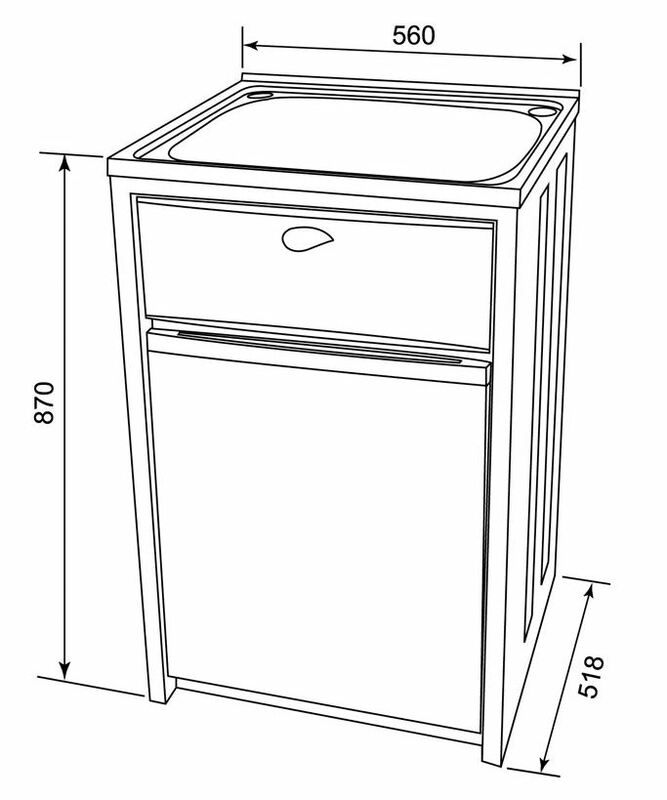 The NuGleam™ Supreme Laundry Cabinet & Sink will certainly help with your laundry duties. Don’t Delay! 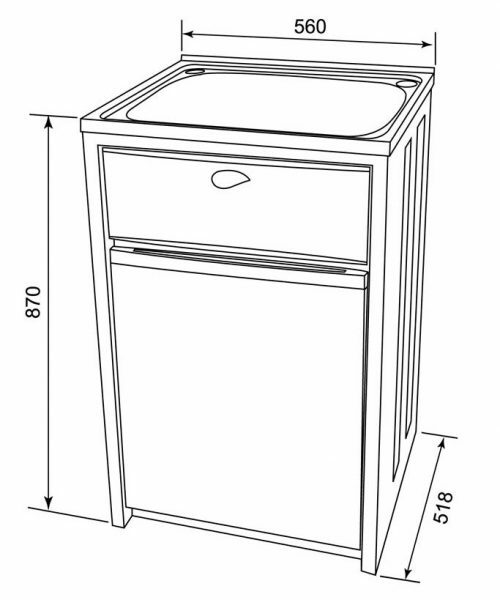 Purchase this laundry cabinet and sink combination unit from Ross’s Discount Home Centre at the lowest possible price.